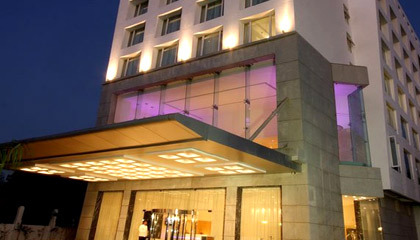 Savannah Sinclairs is located in Whitefield, the IT Hub of Bangalore. 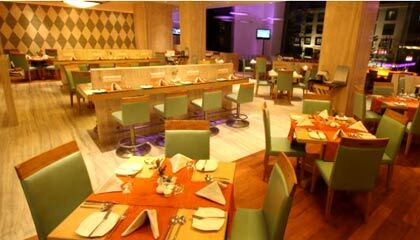 Positioned at the commercial hub of Bangalore, Savannah Sinclairs is a cocoon of modern comfort and sophistication. 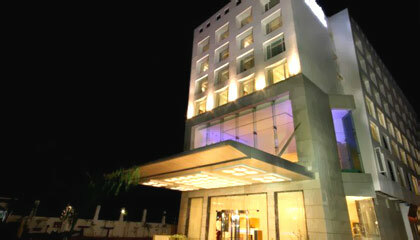 Excelling in art of combining business with pleasure, it offers the guests a luxury abode. The beautiful hotel is decorated with an innovative touch to match with the mood of today's visitors. Offering an extensive range of business and leisure facilities, the hotel is committed to make every stay an unforgettable experience. 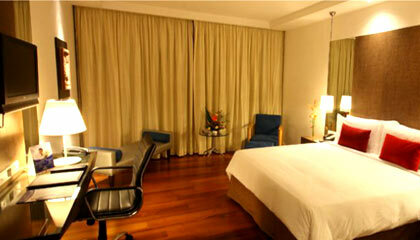 Its splendidly adorned rooms are stuffed with ultra-modern amenities bestowing a restful ambiance. The hotel offers excellent banqueting and conferencing facilities in a professional and sophisticated environment. Savannah Sinclairs is a perfect destination to experience modern living whilst enjoying incomparable hospitality and location in the Garden City. 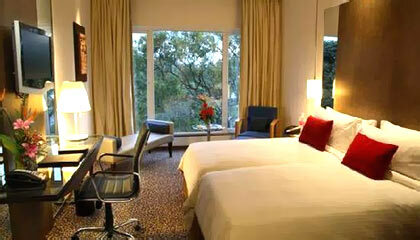 The hotel bestows 104 well appointed rooms & suites, classified into Deluxe Rooms, Premium Rooms and Junior Suites. 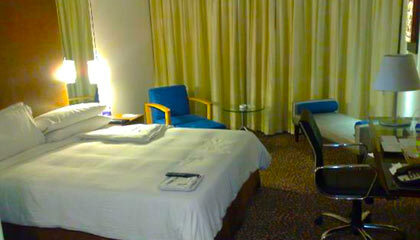 All the units are equipped with modern facilities and services. Savvy: A restaurant with a la carte menu for breakfast, lunch & dinner. Sin: A tea lounge offering hot beverages and lip-smacking bakery items. Zaffrani: Treat your taste buds with scrumptious Indian cuisine & desserts. 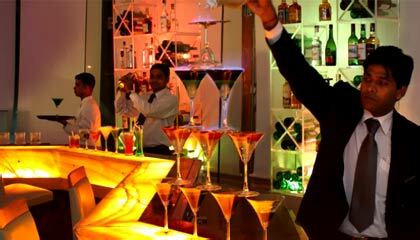 Onyx: A lavish bar offering an array of imported liquors and wines.